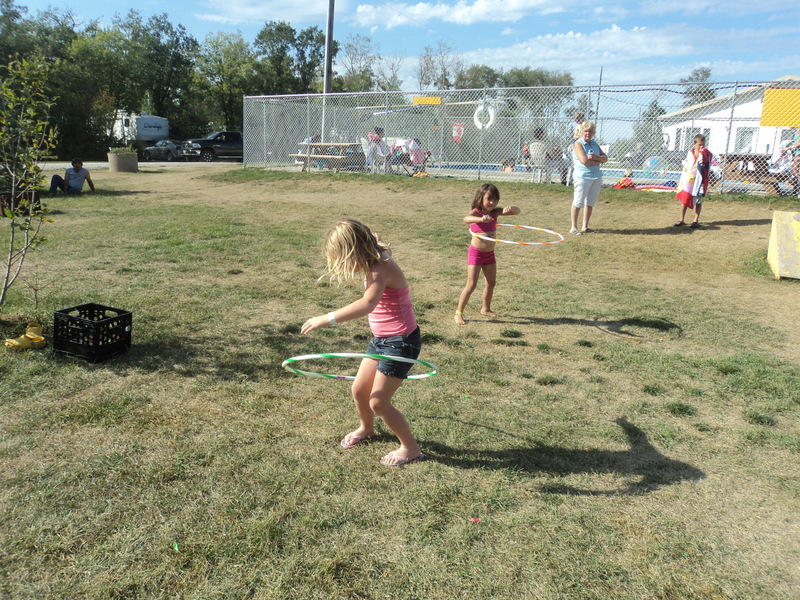 It was time for back to school fun at Rubber Ducky this weekend. 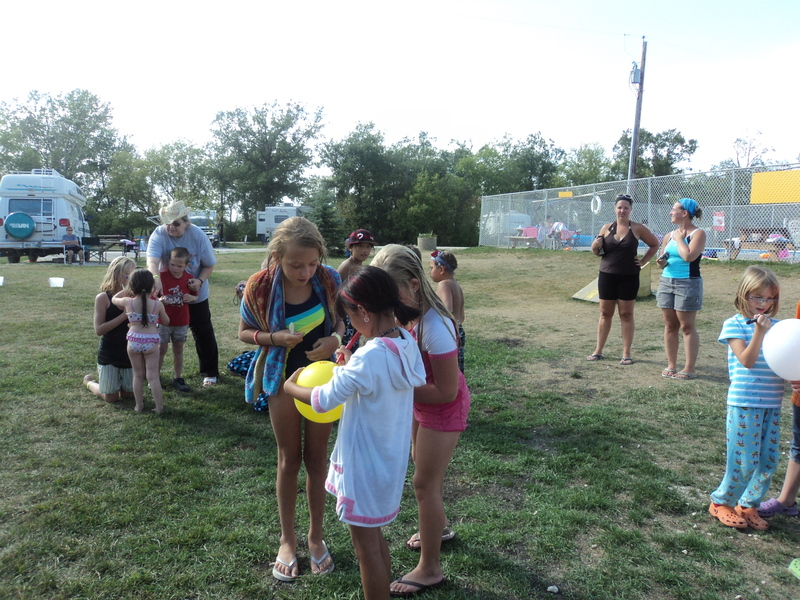 Our scavenger hunt list included a total of 35 items for our campers to find. 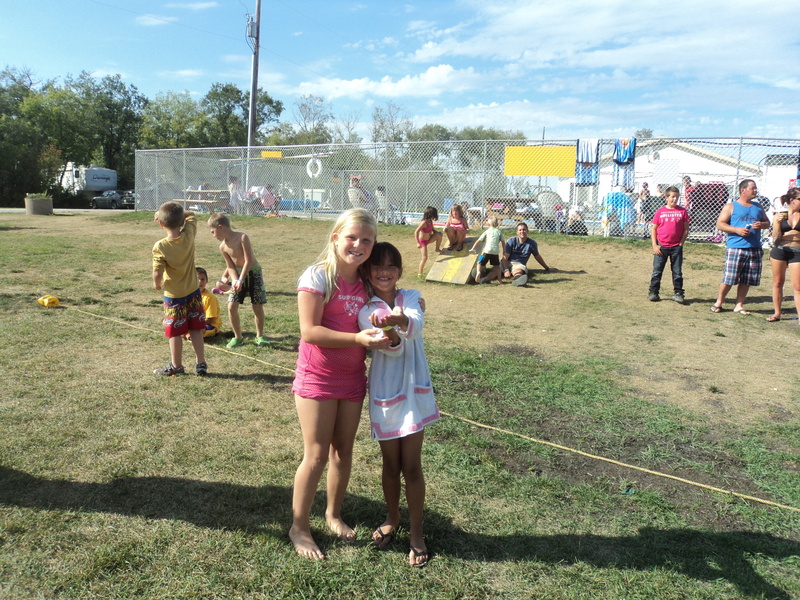 Most worked in teams and took their time going around the campground. The first group to complete the list got a bonus of a slushee or ice cream sundae. Then we took the names of all the groups that completed the list and made a drawing to see who would be the winner. We had 20 teams that managed to find all 35 items on the list and the winning team was Brian and Justyce. They received a snack pack of chips, chocolate bars, drinks and candies. 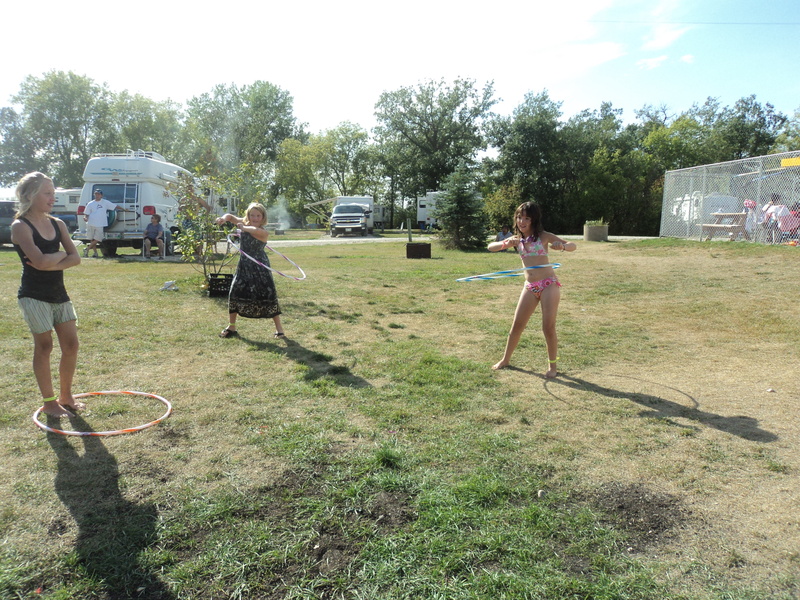 Later in the afternoon we did some Wet N Wild Games. The first game was one I found on the internet and seemed like it would be harder than it actually was. 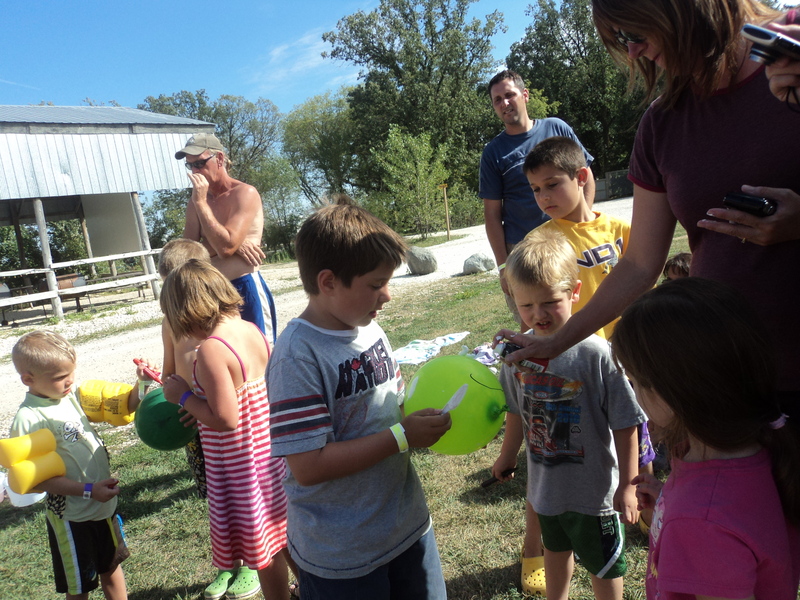 The kids had to draw a face on a balloon, smear it with shaving cream and shave it with a plastic knife. 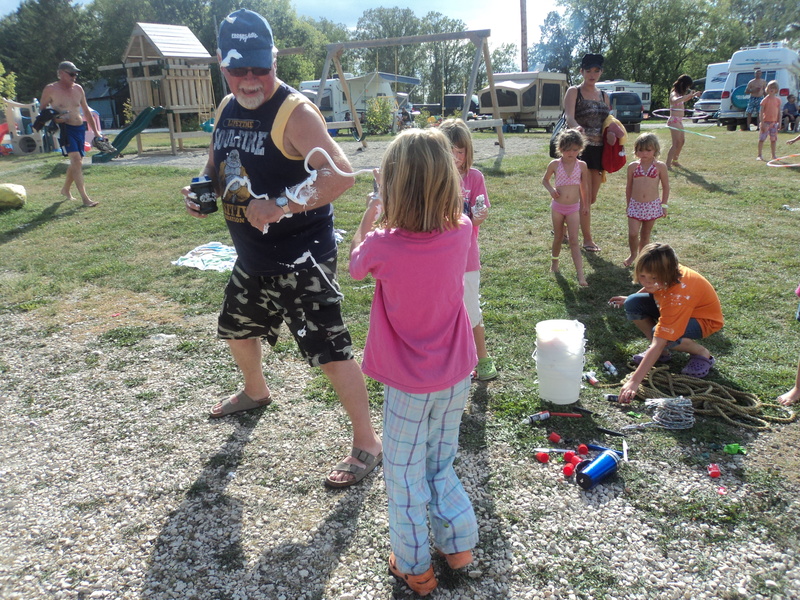 The kids seemed to have fun but there were no popped balloons and no shaving cream poofs or splatters. The next game was the bucket relay. 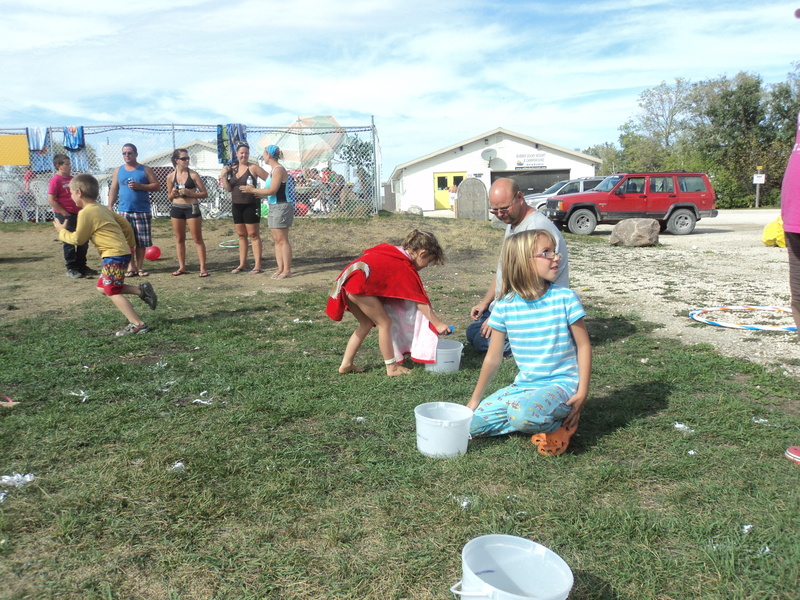 It was a good day for getting wet as they sponged the water from one pail to the next. 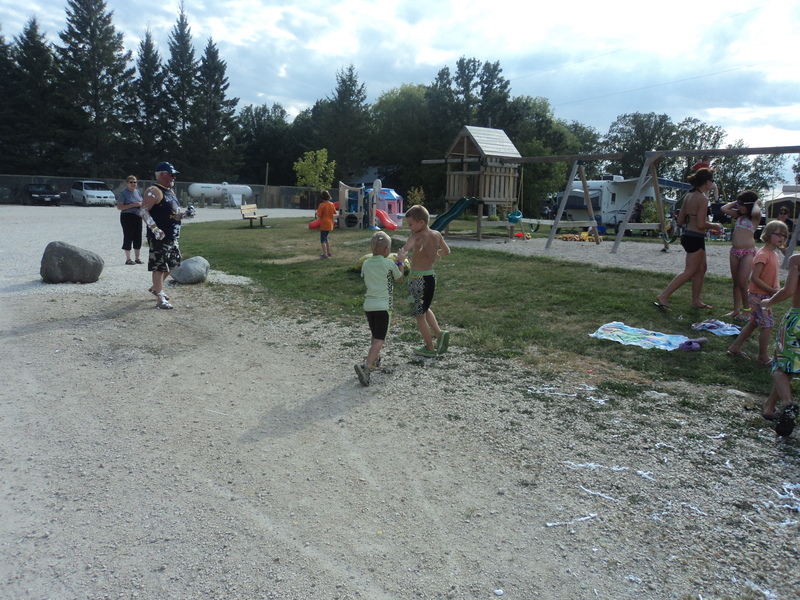 We couldn’t do wet games without a water balloon toss. This got a few splashes happening. 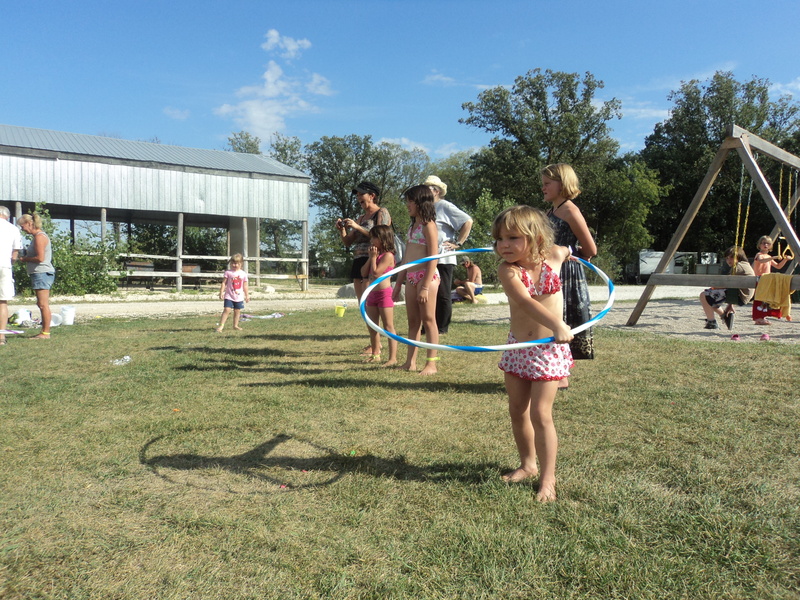 What we thought was to be the last activity was a hula hoop contest. 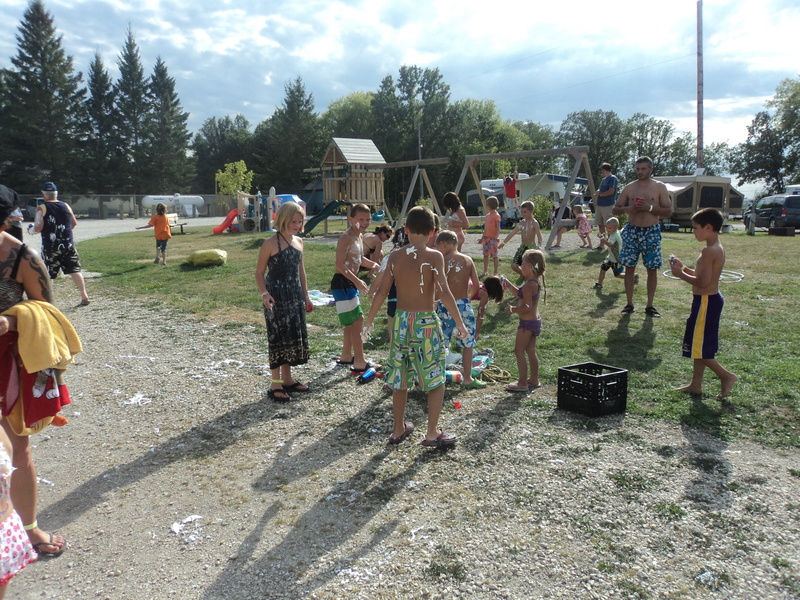 The Wild part of the games started next when the shaving cream wars started. A certain big kid started it and before you knew it there was cream smeared in hair, on glasses and all over anyone that was standing nearby. And there was lots of laughing going along with it. We are now gearing up for one of the last big weekends of the summer. September long at the Duck means it’s time for the annual chicken wing eating contest. I have approximately 800 wings on order, ready for some hungry people. And we will also be cooking up a whole bunch of cupcakes for the cupcake eating contest. I am looking forward to another great long weekend before it is time for back to school. 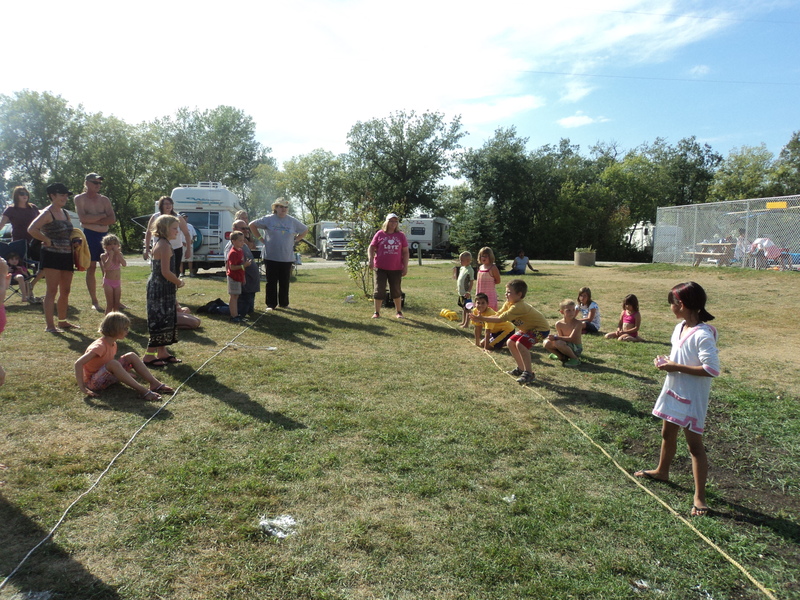 This entry was posted in travel and tagged campground activities, chicken wing eating contest, september long camping. Bookmark the permalink.